Trams and light rail easily represent two public transport solutions for fast, efficient and environmentally friendly. 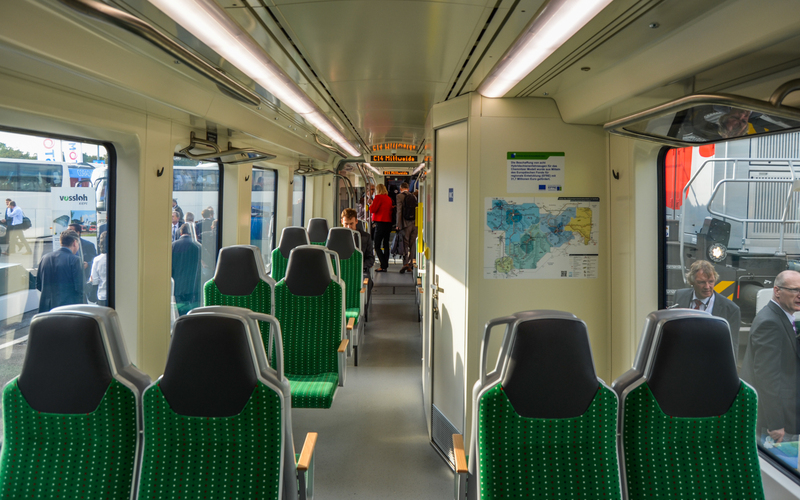 Within the InnoTrans 2016 were presented the newest rolling stock solutions, as well as future of manufacturers to offer more innovative solutions starting with saving up to providing the most comfortable. Models shown are part of the contracts already signed, will go into circulation in cities where they were ordered. 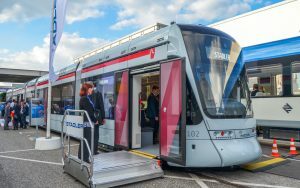 Durmzalar company based in the city of Bursa from Turkey, has exposed within the new model 2016 InnoTrans tram Panorama. 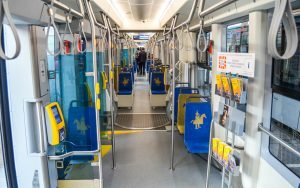 Modern trams presented is one, built and designed with modern low floor throughout the entire length of the wagon. The total length is 33 meters, driving system is bidirectional, being performed at 690V. Seating positions are 50 chairs, ergonomic designs and being resistant to vandalism, having a total capacity of 290. The maximum speed is 70 km/h, all equipment being produced within the plant. The tram has undergone tests of endurance and wear, being guaranteed for 30 years. At the exhibition, PESA has brought Krakowiak, model built for the Polish city of Krakow, where they will be operating in 36 units. The basic platform of the tram is Pesa Twist, a model of having a configuration of 4 sections, with a capacity of 284 travelers, of which 93 seats. The length of the wagon is 42.9 meters, traction is provided 5 bogie swivel. The maximum speed is 70 km/h. passengers ‘ Lounge is one convenient and innovative, with LCD information systems in each section, ticketing systems, area with bike racks and USB ports for charging mobile devices incorporated in the proximity of the seats. 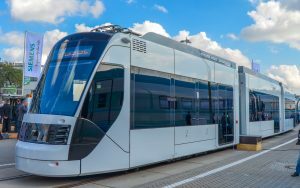 The model is the longest tram in Poland, the value of those 36 trams being 70.2 million euros. The funds were distributed from the national budget and 59% of EU funds through the POR 2007-2013. Developed to run under the terms of the climate in Qatar, QEC Avenio trams (Qatar Education City), benefits from a system of storage of electricity to run autonomy in areas without catenary. 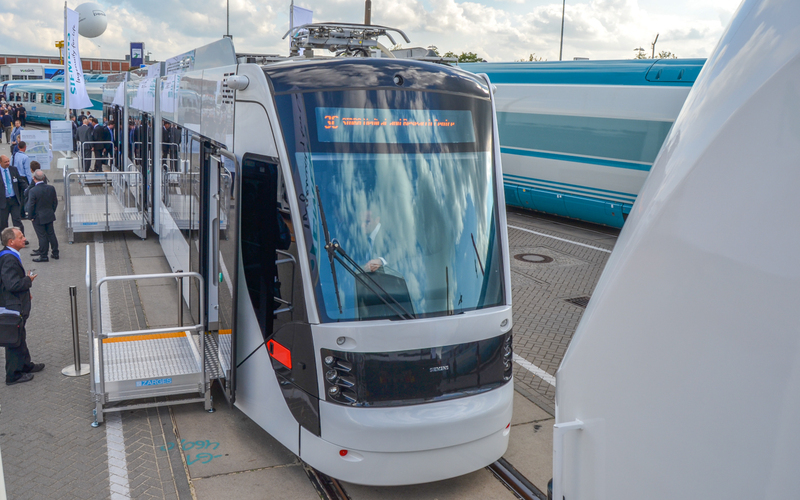 In total 19 trams of this type will be operated on the route with a length of 12 km and 24 stations. Avenio trams QEC is a bi-directional pattern with 3 sections and a capacity of 165 travel, from which 56 seats. 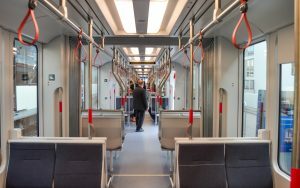 The length of the tram is 27.7 metres with the floor lowered throughout the length of the wagon. Trams will begin to operate by the end of 2017, the system being the first project of a tramway network in Qatar. The prototype was tested in the climatic testing in Vienna, to certify its operation at temperatures above 50 degrees, high levels of moisture and dust. Operation between stations, without catenary, is done using a new innovative energy storage and fast loading using capacitors of great power. The value of the whole project is 368 million euros. A second project launched in Qatar was contracted to Alstom for two billion euros for the construction of a tramway network with 4 trails in the town of Lusail, till the year 2020. ForCity Model Plus ordered authorities in Bratislava is a tram gauge 1000 mm, with 5 sections and total capacity of 242. 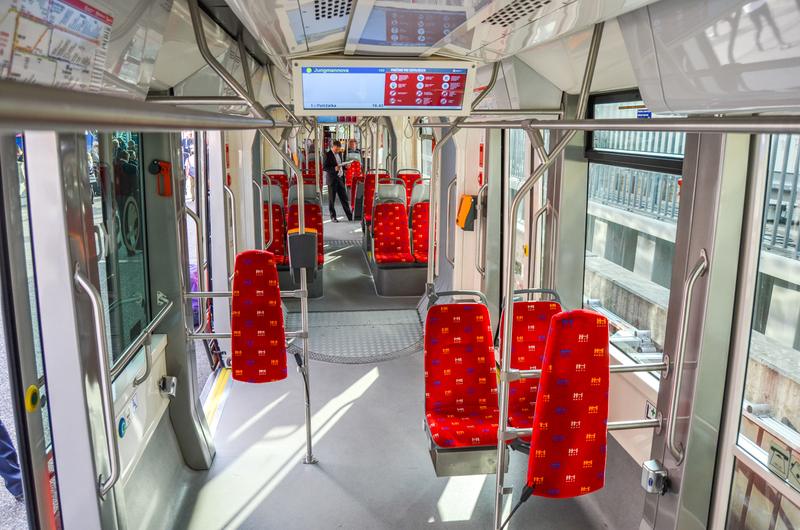 A total of 30 trams will be delivered, 15 uni-directional and bi-directional 15, with a total cost of 76 million euros. The exhibition was presented bi-directional pattern. 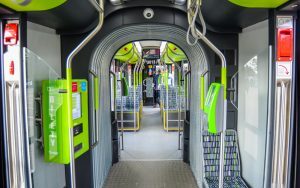 Inside the tram is fitted with one innovative information systems with LCD, air conditioning, video surveillance and ticketing solutions. 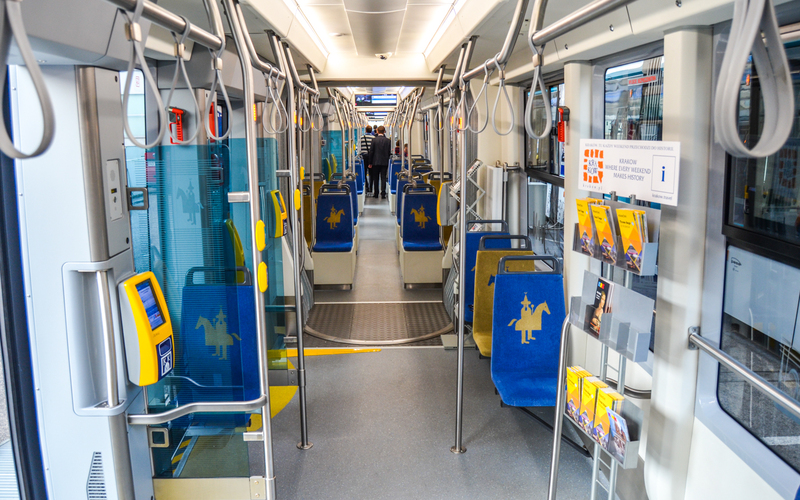 As is normal in modern trams, they are equipped with spaces for bicycles and people with disabilities. 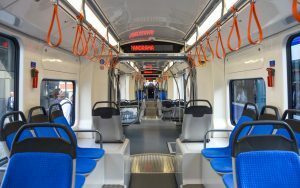 Due to the system with the bogie swivel in extremities, the floor is not complete low floor, and it was lowered at a rate of 90%, with the rest accessible by climbing two stairs. 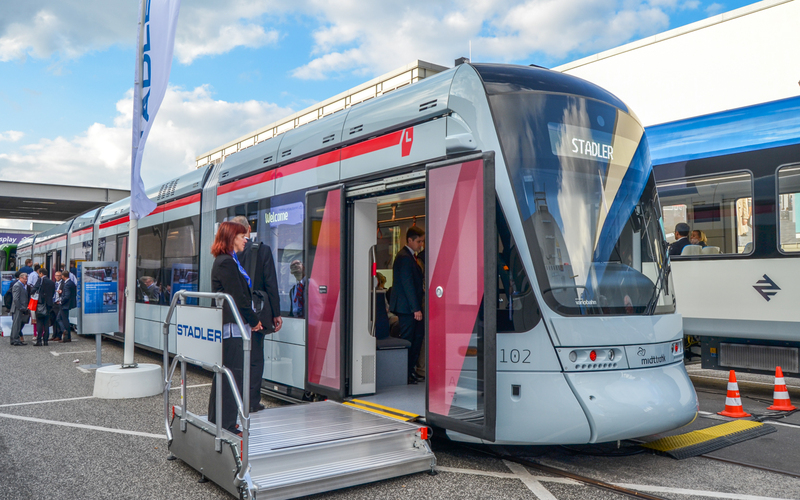 Solaris came to the exhibit with unit # 3013 series 100% 15 trams low-floor that runs on the newest network of tram in Poland, in Olsztyn. This is the newest tram network from Poland after 55 years. Trams have a length of 3 metres, 29.3 sections and can carry 230 passengers, of which 36. 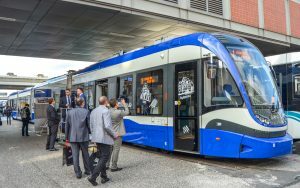 The total value of 15 trams is 30 million euros. The pattern is bi-directional, runs with the help of 3 swivel bogies, motors, two of which for track gauge 1435mm. 4 tram is acted by asynchronous motors with power of 120 kW, having implemented a technology that maintains the floor of the wagon at the same level regardless of wheel wear. To run without catenary, trams are equipped with battery-powered 540 AH, charged while running on catenary. The maximum speed is 70 km/h, and the duration is 25 years. 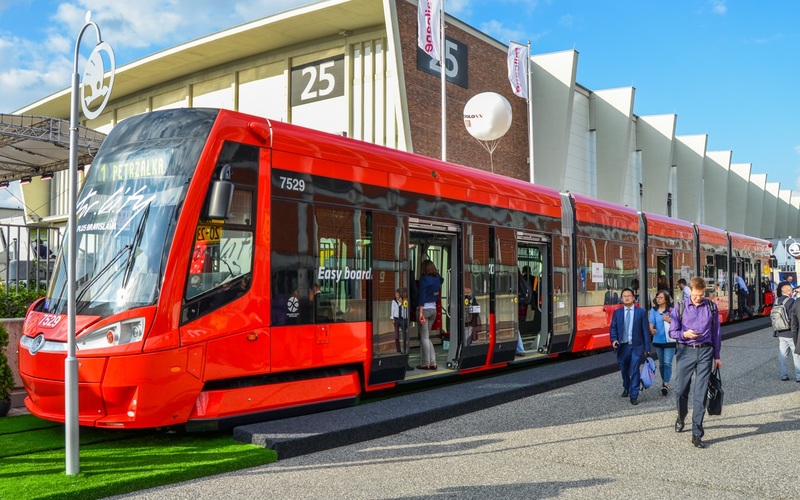 Stadler has exhibited at the exhibition model built for the Danish Variobahn Aarhus city, where they will come into operation on 14 units. Trams are bi-directional, with a length of 32.5 meters and a capacity of 132 travel legs and 84 seats. Shareholders is maintained by 8 engines with power of 45 kW, with a speed of 80 km/h, on the gauge of 1435 mm. Tram is equipped with a communication system with the depot, to provide real-time information for maintenance and interventions. The Salon is monitored and equipped with air-conditioning systems that maintain climate conditions adapted to the Nordic countries. 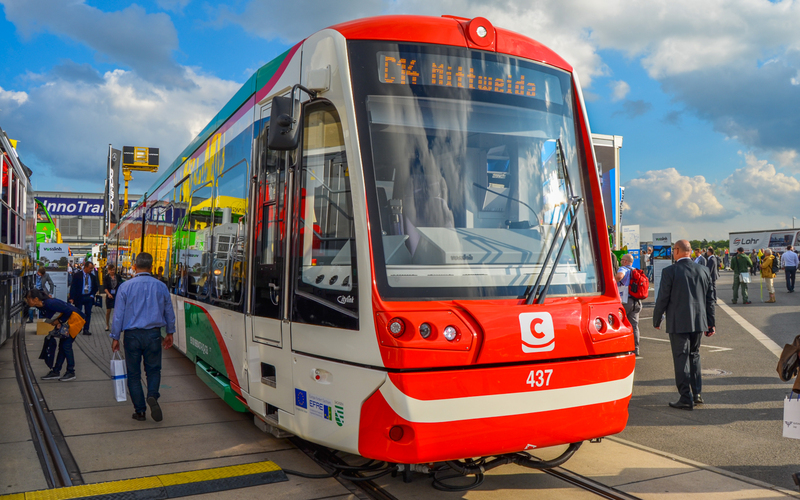 German Verkehrsverbund MittelSachsen operator (T-BILLS) purchased from associating Stadler-Vossloh 1,459 12 trams operating in hybrid CityLink Chemnitz area. The order comes in the context in which the authorities in Chemnitz in investing a project called “Chemnitzer Modell” for the development of an extensive network of public transportation including trains, by operating on the train. 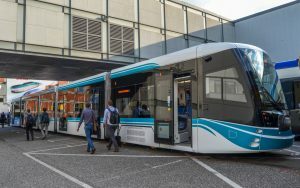 The proposed tram pairing Stadler-Vossloh operates at maximum speeds of 100 km/h, using voltage 600/750 Volts in the operation of the tram infrastructure, and diesel traction when operating on the lines of the non-electrified railway. The length of the tram is 37.2 meters, consisting of 3 sections. Diesel drive is done with the help of two engines with the power of 390 kW, while the normal drive is done with 4 electric motors of 145 kW. Transport capacity is 141 feet and traveling 87 seats. 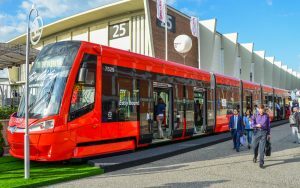 Major manufacturers of trams were present at the exhibition with physical exhibits presented and with the presentation of products within the dedicated stands, with detailing projects, most of them having a base platform that adapts to the requirements of each city, after trams built modular. 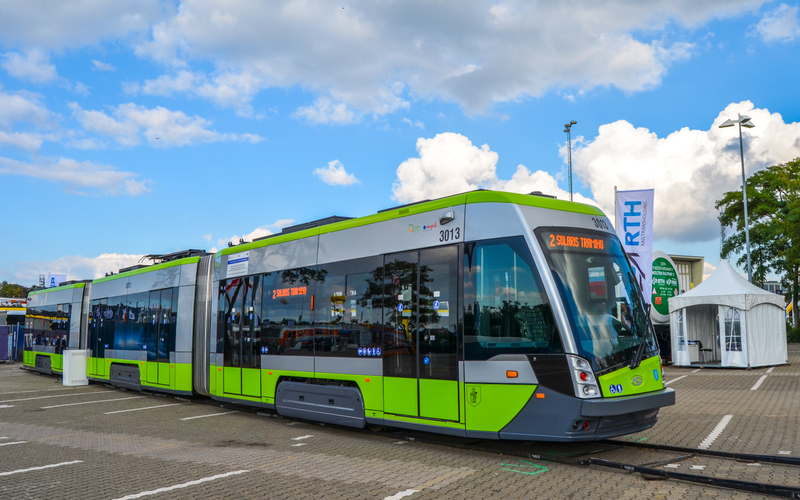 In Romania, the only cities that have purchased import trams are Oradea (10 Siemens ULF) and Cluj Napoca (4 PESA).